Tune into your love of melody and deepen your passion for performing. A founding member of chamber group Bella Tromba, Jo has a wealth of experience playing demanding repertoire in pressured situations. 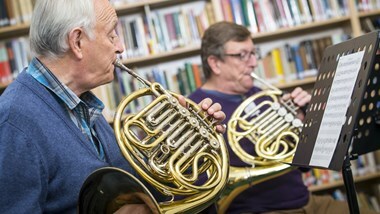 She brings her number one aim, to enjoy music in all circumstances, to Benslow Music for a brand new course for all brass players. There will be an accompanist on hand to play for you, sessions on technique and performance anxiety and a chance to perform a solo work in an informal concert. To take part all you need is a sense of fun, a willingness to try something new and a piece or two to master.